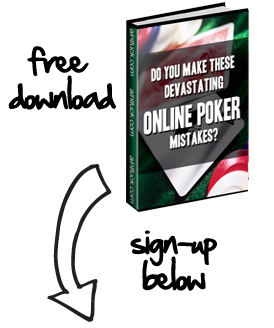 For those who are new to poker or not very good at it, a few tips and basic poker strategy should be of great help and will no doubt help them improve their game dramatically. To start with, it is important that you always quickly analyze your exact situation and the pros and cons of it before you even take your seat at the table. For instance most people would be apprehensive about being an unknown coming to sit at a table with professionals. However the truth is that you will have a crucial advantage over them which you can use to full advantage. You have to appreciate the fact that your image as a player on a poker table can make or break you. Coming into such a situation means that the professionals have no idea who you are and how you play. This is a huge advantage in your favor if you know how to exploit it. For example this is the perfect situation where you can make bluffs at will. If everybody at the table sees you as the amateur, it is obvious that every other player will underestimate you. In other words they will look at you as fish and open their game to try and net you quickly. Play along with them so that they believe you are worse than you really are then take advantage and rob them blind. The reality of the situation is that if you are viewed as a fish and you play as if you always have the best cards and the ace, chances are that you will find yourself bluffing many pots. Yet another key tip to remember is to always resist the temptation of being caught up in the mood of the table. It is very easy to fall into the habits of the gamblers if you are seating with a whole lot of them in a game. The secret is to play in a style and at a skill level that you are most comfortable with. Also remember that a really good way to gain an edge over more skilled players is to make them believe that you are playing a game that is slightly different from the game you are really playing. This will give the kind of advantage that could make all the difference. The money you are playing for is of course a major factor. Playing with what is referred to as “scared money” is a big mistake. The truth is that if you can’t afford to lose the money in front of you and are not at peace with losing it, then you shouldn’t be playing with that money. It is that simple. If you insist then it is critical that you convince everybody at the table that you are not afraid to lose it. Playing with scared money means you will be unwilling to make the right decisions fro fear of losing your money which will in fact help you considerably in losing it much faster.